One-Way Trip to Mars and the 78000 Signed Up Morons – Dr. Turi M.D.U.S. CAUTION – CAUTION – CAUTION – CRITICAL THINKING REQUIRED! Please do not be offended if I use the words morons or cosmic ignorance I am objectively referring to the mass and not you personally. While sugar coated articles tend to be more acceptable for the over sensitive soul, I am not a deceptive Neptunian televangelist, so please do not let deep seated emotions or any insecurity or inferiority complexes blur your perception to my message and complex mission to free humanity from fears and cosmic ignorance… In fact I have much more for you that what you could ever bargain for if you are tough enough to handle the undiluted truth! And you really think man will ever fly all the way to Mars and live happily ever after? OMG! there is no wonder why this world is such a mess when science and religions have absolutely no problem to make the morons born believe such a thing! I know the majority of human are not directly related to Einstein but I can not help to realize how such a common mass of human beings can be so gullible and run with the greatest deception ever offered by Mars One. Now if you believe there is NO profit in a nonprofit organization then you deserve to waste your money because that is exactly how they make money… And if there is no money to make why there are millions of people involved in those scams? In fact all nonprofit organizations keep a very large percentage of your donations to survive while the rest is used for the project. For instance, how much do you think, if you donate $100 to charity will go to the starving kids of Africa? More than 85% will go to advertising on CNN, magazines, newspapers, national TV and radio to bring more morons to get nothing else than an impractical dream. And you wonder why there is a cancerous proliferation of religious buildings all over the world? Do you think the Vatican, Mormonism or Scientology buildings came about without your “donations?” HELLO WAKE UP READER! Its all about spiritual pride, deception, money, politics and power! The “non profit” organizations are in for money and do not care of the needy, invest in my mission for the children instead!. God made fishes to live and operate in their watery world, what if I started a nonprofit organization to build, like they will do for you dreamers, suits and complex technological machines designed for those fishes to live on earth? Isn’t time for you to wake up to reality and accept the facts that this is nothing else than another deceptive financial masquerade to get to your pockets? If you give Mars One one single penny they have proven to themselves that they are much better than you mentally because they are smarter than you to get your money and you will get only a dream at the end. Facts – Mars lost its magnetosphere 4 billion years ago,so the solar wind interacts directly with the Martian ionosphere, lowering the atmospheric density by stripping away atoms from the outer layer. Both Mars Global Surveyor and Mars Express have detected ionised atmospheric particles trailing off into space behind Mars, and this atmospheric loss will be studied by the upcoming MAVEN orbiter. Compared to Earth, the atmosphere of Mars is quite rarefied. All you have to do is to use common sense and remember to concentrate on Mother Earth FIRST because that’s all you have and you reside on her back! But let’s pretend science manage with your money to make the dream to go and live on Mars because they know Mother Earth is dying really fast.. Do you think for a second they will make room for you (even if you paid a ridiculous low price) for your seat or will they take ALL the scientists or their kids first? What the hell an uneducated dreamy moron can bring them once arrived on Mars? They need their kind not yours but they all know this will never happen ever, Mars is dead and has nothing tangible to offer… Its all about speculations, period! These organizations are entities within entities or government privileged selected individuals building numerous “nonprofit” organizations within a another bigger system! To make it easy for you to grasp they are flies on a fat dog.. How do you think the IRS or the Vatican was build? Now that they became so powerful and infest everyone’s minds and wallets, so try to get rid of them… You never will! Now this does not mean I don’t believe in science, because I do and without the genius of discovery humanity would not enjoy such incredible technology today! But going to Mars is far too fetched for anyone who has enough common sense and smell the rats, like I do! So please take the time to read the collection of newsletters I wrote and wake up to reality! Never, ever will any human being be allowed by God to exist on Mars. Remember science know this as a fact, but robots can, did and will go there… Then like we did on the Moon finally realize its just a dead planet that has NOTHING to offer humanity. National Commander receives a $0.00 zero salary.Your donations go to help Veterans and their families and youth! READ MORE STOP BEING A COSMIC UNCONSCIOUS MORON! YEAH WE DISCOVERED ANOTHER ONE! Some scientists think a brown dwarf or gas giant bigger than Jupiter could be at the outer reaches of the solar system. In this image showing relative size, the white object at the upper left edge represents the sun. You know how you sometimes can sense that something is present even though you can”t see it? Well, astronomers are getting that feeling about a giant, hidden object in space. DT Rebuttal: Hoops… since when scientists behave like normal humans and use “feelings” in their researches? This is laughable, only yesterday in my last newsletter “Ophiuchus Mystery Divulged” I mentioned that scientists tend to discover a new planet “or a new constellation” on a daily base, indeed it did not take too long for my educated guess to come to pass. Don’t they have something better to do than to waste precious tax dollar with their ridiculous findings? Let me save you time and money people, YES they are trillions and billions of “new” planets and “new” constellations out there. As a matter of fact let me put it this way…if all the scientists, astrophysicists and astronomers combined together were to discover a new planet or constellation every second of their lives they will still have not even have made a microscopic mathematical impact of the numbers of hidden celestial bodies there are in the infinite conception of God’s creation. They are like little kids learning to count their five fingers, do I make sense? Meantime more serious spiritual answers pertaining to the impact produced by our neighboring planets on the human psyche making up our close solar system are left unanswered…These far away constellations and planets (unlike Pluto) are NOT affecting human lives and activities because of the absence of gravitational forces exerted on earth. Imagine instead of spending/wasting millions, if the scientific community was “expanding” their research into the subtle impact of the Moon and how she regiment life on earth? Gee scientists have too much time and too much money in their hands, the type of resource I need to build my Astropsychology schools and bring back sanity to this messed up world. Lisa Bero, PhD Pharmacy professor at UCSF who studies conflicts of interest in medicine and research. Dr. Louis Turi, M.D.U.S . 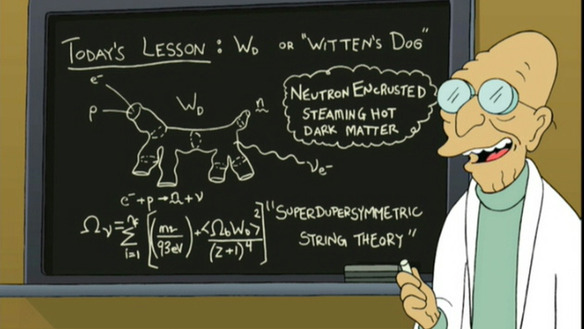 Cosmic Code professor at UCI who studies conflicts of interest in science and research. And you wonder why America got bankrupted? Continued – And when we say giant, we mean GIANT. Evidence is mounting that either a brown dwarf star or a gas giant planet is lurking at the outmost reaches of our solar systemis, far beyond Pluto. The theoretical object, dubbed Tyche, is estimated to be four times the size of Jupiter and 15,000 times farther from the sun than Earth, according to a story in the British paper The Independent. DT Rebuttal: Well reader now that you acknowledged the fact that there are trillions of billions of dwarf star and gas giant planets behind this latest “discovery” what does it bring you? NOTHING, but this is not the same with those wasteful “scientific” organizations sucking money to tell you the obvious. Do you have to pay for more of these future “discoveries” or would you rather keep those taxes to feed and protect your family? The fact is the British paper The Independent can only sell his paper when those wasteful “scientific” organizations tell them they have a “breaking news” story. They know well no human can live outside of the atmosphere of Mother Earth and who the hell wants to live in such a desolated place anyway? But, once upon the time there was water on Mars and life can be jumpstarted there some “logical” souls would say…Well God made sure that none of his children can escape HELL or hearth ( the school) and made those planets inhabitable to start with. Humanity should be more concerned with Mother Earth and pollution than to waste time and money trying to live in a much worse place than our own blue planet heaven. Where is common sense, where is justice when Mother Earth is giving those “scientists” serious warnings that she had enough of this universal imbecility! What and where will you go when; like a dog plagued with flees, she finally decides to get rid of all its human residents? Why not doing the sensible things before it’s too late, gee in what a young world did I land on? Astrophysicists John Matese and Daniel Whitmire from the University of Louisiana at Lafayette think data from NASA”s infrared space telescope WISE will confirm Tyche”s existence and location within two years. The presence of such a massive object in the solar system”s far-flung Oort Cloud could explain a barrage of comets from an unexpected direction, according to a December article at Space.com. Its 27 million-year orbit could also explain a pattern of mass extinctions on earth, scientists say. DT Rebuttal: Two years? That is what it will take to find out about the obvious? OMG! Two more years of supporting those leeches and wasting more tax dollars is more of the truth you need to hear behind this “new” discovery.Again, the same technique used by the Church Inc. is used by science reader; they instill fear in you, because the human instinct of conservation is very strong. Thus if you do not fear God or give to us, you will end up burning forever in hell or in this case, if we do not do the research “a barrage of comets from an unexpected direction could bring mass extinctions on earth, scientists say. So what? The fact is an incalculable amount of human (and else) disappeared from Mother Earth’s back since she became a UFO orbiting around the Sun through the Universe with her numerous wasted cargos. So again what good does this research brings to you reader?NOTHING but a sure paycheck to them…The problem is humans have been told to fear death and hell and this religious mental poisoning still congests the spirit of 99.09% of the people living on earth. The topic of death while frightening is a natural thing that is like astrology; sought as taboo where no many souls want or can explore naturally. The fact is there is NO death; it’s more of a liberation I may add and the completion of yet another test imposed by God to grow eternally. 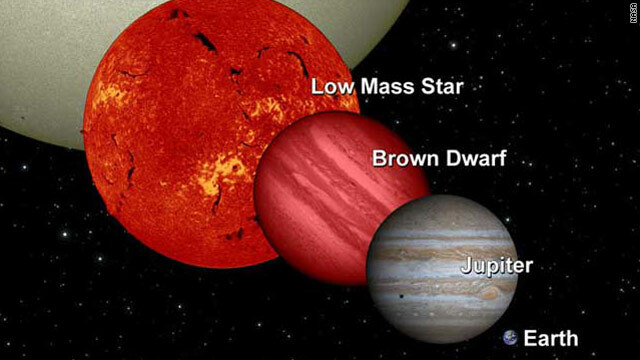 Brown dwarfs are cold “failed” stars; their dimness and lack of heat radiation can make them hard to detect. Gas giants are huge planets – like Saturn, Jupiter and Neptune – that are made up of gases and may lack a solid surface like Earth”s. Whitmire told The Independent that Tyche willprobably be composed of hydrogen and helium and have colorful spots, bands and clouds like Jupiter. DT Rebuttal: The ridiculous speculations offered by those “educated” heads is simply amazing reader…When is the last time a group of scientists went to Pluto to dig its core to find out if it is either a planet or a big cloud of gas hanging up there? You want to be practical, so let’s be more logical than they are… Knowing they know ZILT about the true spiritual essence of any of the celestial bodies making up our solar system I seriously doubt any of their findings. The fact is when words such as may and probably are used it become quite obvious they canONLY speculate. Well, my wisdom of the Cosmic Code making up those stars is REAL and I do NOT speculate when I expose their inner spiritual essence to my spiritual reader…did I make my case yet? If you are still skeptical its because, like the scientists you did not honor the word science and did not do your home work investigating my unarguable, well documented dated and printed predictions properly that’s all. SOS POLICE MAKE A NOTE FEBRUARY 21.22.23 MANY OF US WILL DIE BECAUSE OF IGNORANCE OF THE LAWS! DT Rebuttal: Gee finally some common sense applied by science here, but that’s because they can see the moons orbiting around our neighboring large planets. DT Rebuttal: The fact is Tyche appears on many coins of the Hellenistic period in the three centuries before the Christian era, especially from cities in the Aegean. This fact enunciates how much Christian really knows about a much older wisdom Jesus was trying so hard to teach them. This happens to be God’s celestial manifestation and the truth that was also stolen from them. The reason why both science and religion “uses” Greek mythology” is because a glimpse of the truth persisted over the centuries but in no way will science or religion bring you answers they do not have. Mostly because, unlike the erudite men of the past their reasoning about the core of this dispread wisdom is loaded with inefficacy, a total lack of perception and a modernized scientific approach to the cosmos. Their research is published in Icaru, the International Journal of Solar System Studies. The greatness of the Universe is unknown, but the magnetic forces that direct and move all the planets in our galaxy are known; this Divine source of power can be used to guide and bring man a life filled with love, respects, peace and harmony. Next post: Was Ariel Castro Born a Monster?